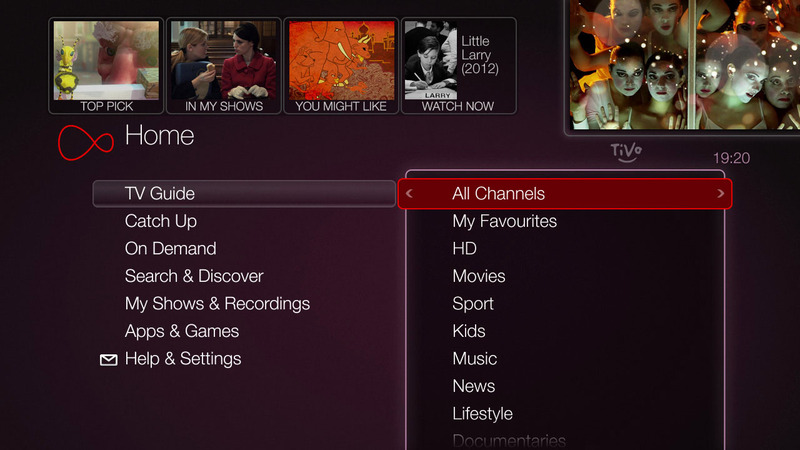 Looking to expand their sporting offering, secondary UK pay-TV provider Virgin Media have announced an addition to their TiVo connected set-top boxes, the introduction of a ‘bespoke’ app from pan-European broadcasters Eurosport. Aiming to offer users all the features of Eurosport’s UK website, the service has been announced as offering viewers on the platform the opportunity to see video content from the site, including news, interviews, and highlights over a selection of different sports. In addition, the app provides ‘in-depth’ coverage of ongoing major events in sport, such as the current French Open tennis tournament, providing live matches and highlights to streamers, along with text-based news and features. Subscribers to the TiVo service are noted as being able to access the app by virtue of pressing the red button on a local Eurosport channel (British Eurosport or British Eurosport 2, or their HD versions), or through the set-top box’s ‘Apps & Games’ menu section. As they seek to bolster a set of sports packages which is soon to also include Sky Sports HD coverage (joining regular Sky Sports programming and BT Sport), will Virgin Media’s efforts to become a one-stop hub of content in the genre prove to make any form of dent in Sky’s satellite-based subscription TV dominance? While the past year has seen companies around the world enhance the maximum potential of commercial internet speed, English company Virgin Media are said to be investigating a method that would more than double the current global leader So-net. The planned adoption of the ‘DOCSIS 3.1 standard’ (released on trial in 2014 ahead of a 2015 formal roll-out) is said to be the first stepping stone towards offering a possible ’10GB/s broadband’ download speed to their members as of next year. Reported by trade website ISPreview, it is believed that the telecommunications giant could end up spending over £110m ($170m) for the new standard, but in return for the investment it is believed that DOCSIS 3.1 would enable Virgin the platform on which to develop a system that offers their customers download speeds of 10GB/s, alongside upload speeds of 1GB/s and 800MB/s, for businesses and domestic users respectively. 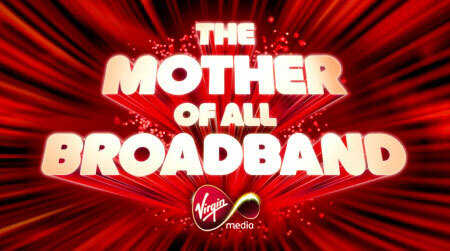 While Virgin are currently operating CableLabs’ DOCSIS 3.0 standard at download speeds of up to 1.5GB/s in London (England), it still pales in comparison to the Google Fiber service launched in select American cities in 2012 (running up to 2GB/s) and the recent offering by Nuro So-net in a number of Japanese regions (reaching 4GB/s). The status of News Corp. (owners of properties such as Fox, Sky, The Sun, and Daily Mail) as the world’s leading media company is expected to be strongly challenged, after fellow American giants Liberty Global announced a £10.22b ($16b) buy-out of UK telecommunications specialists Virgin Media. The purchase (which will see Virgin Media retain their brand name and some ties with the parent conglomerate owned by Sir Richard Branston) adds to the range of companies already owned by Liberty, including English content distributors Chellomedia, and multi-national telecommunications operators UPC, amongst others in a key European market for the business. If the buy-out is completed (following approvals from regulatory bodies and the shareholders of both parties), and follows the road to the expected closing in Q2 2013, it would make Liberty the 2nd-biggest media corporation in the world, with only News Corp ahead of them in terms of company value. While Virgin Media not being owned by Virgin might be a confusing prospect for customers that choose to look deeper than the name, will the new change give ‘Liberty’ to the cable TV provider (who are naturally second in the UK market to satellite broadcasters Sky, a News Corp.-owned company)?